March 18, 2019 . Review by Editor. The Autoleads DAB-AA1 DAB performed well in our tests. Installation was straight-forward with brief but helpful instructions. The aerial offers good value for money. One of the challenges of fitting an after-market DAB car radio or adapter is choosing an aerial. Windscreen aerials are fairly easy to install and cheap to buy. 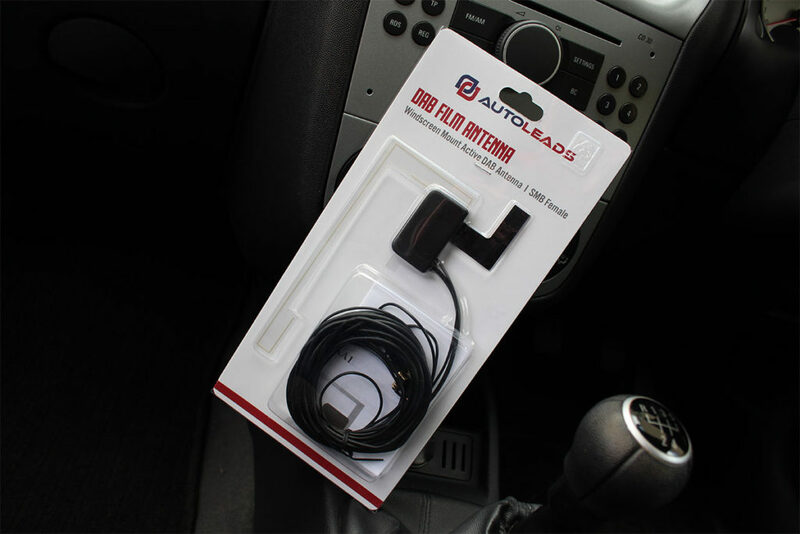 The Autoleads DAB-AA1 is a popular choice online and is available in Halfords. Windscreen DAB aerials like the Autoleads DAB-AA1 are reasonably priced and fairly easy to install. Why a DAB windscreen aerial? 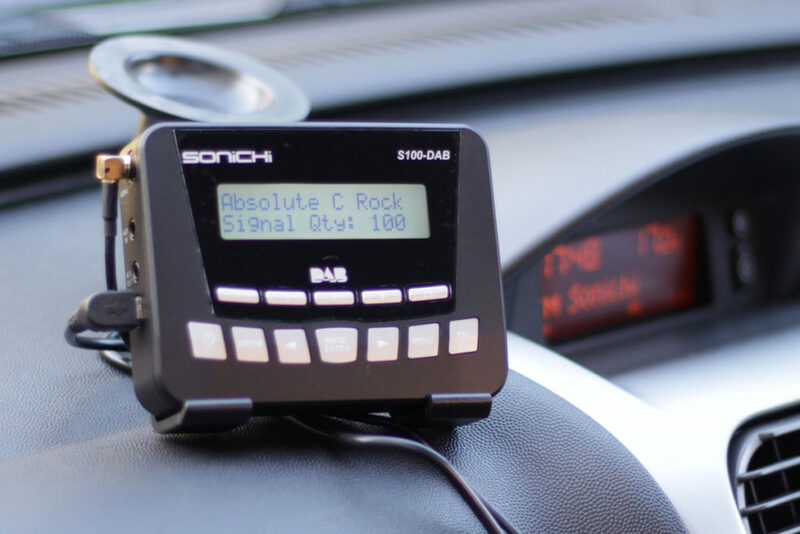 Digital car radios need a suitable signal for DAB digital radio. The common choices are a DAB windscreen aerial, a magnetic aerial, replacing the roof aerial or using a suitable splitter. 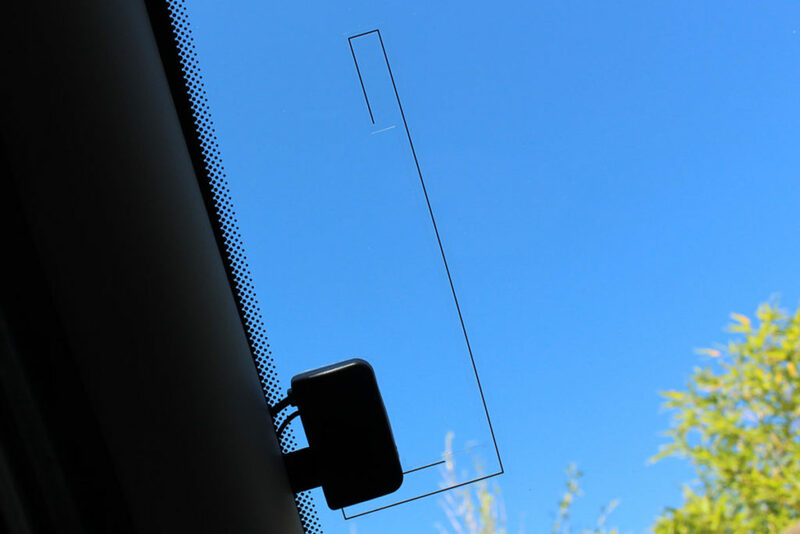 A big advantage of installing something like the Autoleads DAB-AA1 windscreen aerial is that you don’t need to add an aerial on the exterior of your car or interfere with the existing aerial. Many motorists will be able to install this type of aerial at home. Even if using a garage or audio specialist it should not take long to do – and therefore not cost as much as replacing an aerial. The Autoleads DAB-AA1 comes in a simple package which is easy to open. No scissors are required, which is useful considering how easy it would be to accidentally damage the film antenna. A brief instruction leaflet is included. Although the fitting information only takes up a side of A4, the details are sufficient. If you need further information watch our installation guide or read our installation how-to guide. The aerial is already assembled and ready to fit in a car or van. Two wires come from the aerial – a coax wire for signal and a thinner wire for power. If the DAB radio can provide power through the coax wire the thinner power doesn’t need to be connected. The aerial has an SMB female connector. This is compatible with adapters like the Sonichi S100 and many single DIN head units. Autoleads offers a range of adapters (not included) if your radio has a different connector. This particular film aerial requires no assembly and has a single backing to peel off. The wires are long and pliable which makes routing them fairly easy. The sticky backing is very strong and there is no sign of peeling or lifting from the glass. Some come with a small wipe to clean the windscreen before installing an aerial. The Autoleads DAB-AA1 doesn’t come with this, but it’s still important to ensure the glass is clean, dry and free of grease or grime. Various retailers and online forums recommend sanding or scraping back the paint on the A-pillar for these types of aerials. An advantage of the DAB-AA1 is that the earth strip can be mounted to a clean painted metal surface. The installation process itself will depend on your car or van. In all cases it will be necessary to remove the A-pillar trim so that the earth strip can be attached to the bodywork. This trim can often be removed by pulling it away, starting at the top. However, for cars with an A-pillar airbag it’s better to ask a garage or audio installation professional to complete this step. They could route the cables into the footwell for you to connect an adapter or radio – completing the installation yourself. For this review we fitted the aerial in a Vauxhall Corsa from 2006. The interior of this car is fairly simple with no A-pillar airbag and exposed screw heads. Once the aerial is correctly installed a re-scan or retune can be performed on the DAB radio or adapter. This process will find all of the available DAB stations. In our test location the Digital Radio UK postcode checker says we should get good reception of 11 local stations, plus fair reception of the BBC’s national services. Paired with a Sonichi S100 DAB adapter we received those stations without any problems. Driving locally in towns, villages and open countryside over several weeks the signal hasn’t been lost while listening to these stations. Using the Autoleads DAB-AA1 with the Sonichi S100 we were also able to receive the other two national multiplexes. Reception of Absolute Radio and KISSTORY has been very good with no drop-outs. While tuned to Scala Radio or Union JACK the signal has been lost occasionally for a few seconds. This happened most often when driving in built-up areas. In our tests the aerial appeared to perform best on country roads but struggled the most in Durham city. That said we didn’t lose any stations for more than 30 seconds over a few weeks. Although the aerial is performing better than expected according to the postcode checker, a factory fitted DAB radio and aerial receives these stations on the same roads without interruption. The Autoleads DAB-AA1 is a good option for DAB adapters and radios in areas with good DAB coverage. Performance was good on our tests despite the reputation windscreen aerials have for reliability. The simple instructions are brief but clear enough. At under £20 from online retailers the aerial scores well on value for money. Installation does require removing one or more pieces of the car’s interior trim. 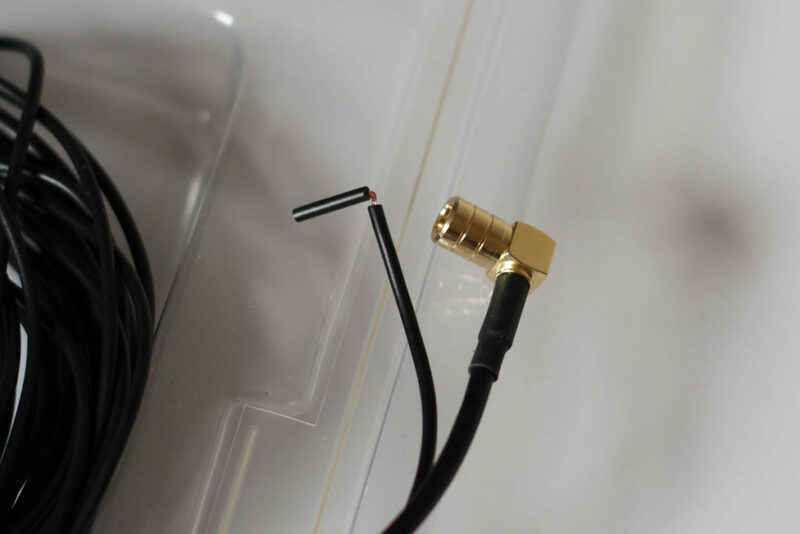 The included antennas with DAB adapters like the Pure Highway have got around this requirement. There’s also nothing included to secure cables in place, but insulation tape or cable ties are cheap and readily available.